I would like to inquire about your property Bayut - BYT-Rent-3082-b168. Please contact me at your earliest convenience. 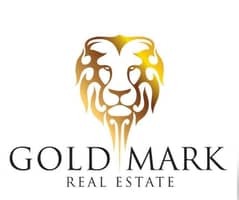 Gold Mark Real Estate, 'Award Winning Best Newcomer Brokerage Service', is pleased to offer this 'Master View' 5 bedroom Villa in Jumeirah Island for rent. Jumeirah Islands is a mini-archipelago on its own,comprised of small islands referred to as clusters. It composes of a constellation of 50 islands of which 46 are residential. The various villas are inspired by 5 different themes,European,Oasis,Islamic,Tropical,Mediterranean and Contemporary. Along with the styles, three elevations on offer at the islands which are Entertainment Foyer,Grand View and Master View. Jumeirah Islands,a self contained community,surrounds residents with dynamic water currents, waterfalls and calm lagoons.